Tshwane city manager Moeketsi Mosola. Picture: YouTube. Moeketsi Mosola could face six months behind bars after a judge found he was in deliberate contempt of a March 2017 court order. 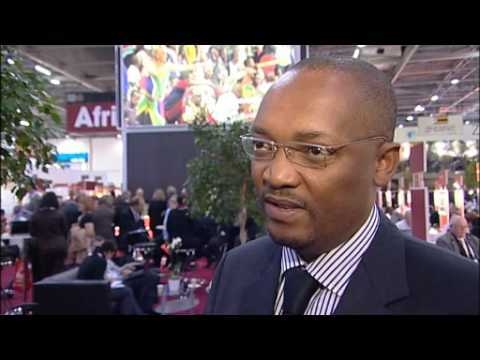 Tshwane’s city manager, Moeketsi Mosola, faces six months behind bars if the city again ignores a court order forbidding it from concluding agreements with any service provider other than the Moipone group of companies in sourcing certain categories of vehicles. In the latest instalment in the legal war between Moipone and the city, Acting Judge Selemoseng Mokose ruled that Mosola and the city had acted in bad faith and were in deliberate contempt of a March 2017 court order in favour of Moipone. The city was interdicted from issuing purchase orders and appointing or concluding agreements with any service provider other than Moipone for sourcing category A and C vehicles, pending the final determination of the validity or valid cancellation of the city’s partnership agreement with Moipone. The judge sentenced Mosola to six months’ imprisonment for contempt of court, suspended for a year on condition that the court order was not contravened again. She also granted a punitive costs order against the city. Moipone in 2015 secured a fiveyear tender for Tshwane’s fleet of vehicles and fleet-related services, but the city first attempted to cancel the contract and thereafter attempted to have it set aside. In March last year, Moipone obtained a court order compelling the city to comply with its contractual obligations. Tshwane was refused leave to appeal against the order. Moipone returned to court when Tshwane ignored the court order, claiming the city was trying to bankrupt them. Mokose said it was a crime to disobey a court order intentionally and said all court orders had to be obeyed until set aside. She dismissed the city’s argument that the court order only pertained to category A and not C vehicles and that they were not obliged to comply with the terms of the contract as the R351 million budget for the agreement had been exhausted. She said the March judgment referred to both category A and C vehicles, Moipone had not agreed to Tshwane buying 103 vehicles from another provider as the city claimed and it was clear that Moipone had received substantially less orders and payments than the agreements demanded.